Marseille is too frequently overlooked or avoided by tourists who have been turned off by news reports portraying it as the French capital of crime. 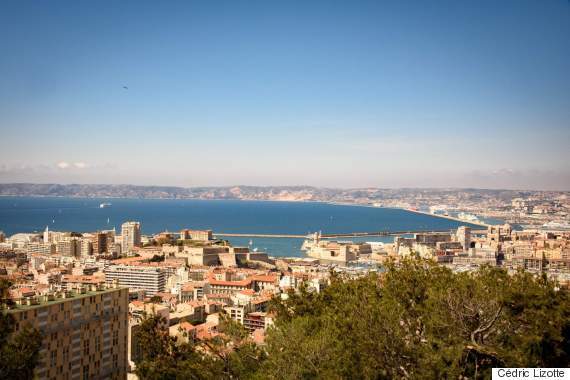 But travellers to Marseille will find the city is full of delights, including fantastic food and wonderful wines. Marseille, France's second most populous city, is too frequently overlooked or avoided by tourists who have been turned off by news reports portraying it as the French capital of crime. Someone should have told me that before I showed up there! All my things were stolen at the Saint-Charles train station. Passport, camera, camcorder, cash, ID cards. Obviously, I had to spend a night and an afternoon at the police station. At least, Marseille has more than petty thieves and a rough-around-the-edges look and feel: travellers to Marseille will find the city is full of delights, including fantastic food and wonderful wines. Here are a few of my favourites. It's just before going to the station to meet a guest -- just before being the victim of that thief -- that I found myself in an extraordinary, Michelin rated restaurant. The Alcyone offers the best in fine dining from one of the finest hotels on the coast, the spectacular InterContinental Hotel Dieu, which overlooks the harbor and Notre Dame de la Garde, the church that crowns the city. Details matter, and that's why one often finds that an exceptional three-star hotel in a good location is better than an ordinary five-star that isn't as conveniently located. In that spirit, I decided to stay the Alex Hotel, which faces the train station, and I loved it! Of course, after getting all of my things stolen at the train station, I spent a rough night, with little sleep, and in the morning, I was in no mood to enjoy the city. I was tense and eager to quickly leave town -- especially now that I had to go to Paris to get a new passport. Still, somehow, I managed to relax. I thought, "What's the rush to leave town?" I knew from experience that one cannot judge an entire city just because of one visit. Admittedly, my "zen" outlook was heavily influenced by the spa treatments at Hotel C2. This five-star hotel is luxurious and impressive in the most unexpected ways. Somehow, in the pool, after a good massage and a fine cup of tea taken while reclining on a lounge chair, I came back to my senses. See some photos of this beautiful hotel here! I resolved to take a long hike to the summit the next afternoon, capped by a visit to the Notre-Dame-de-la-Garde and a brief viewing of one of the major projects of Le Corbusier's "Radiant City" -- which, I must confess, I found not so radiant. Afterward, I headed for La Poule Noire, where chef Franck Paté's menu focuses on cuisine of the market, using seasonal ingredients and a classic technique that showcases them beautifully. The photos do not lie, it was very good! Alas, it is impossible to truly take the pulse of a city in only a few days. Unfortunately I had to leave before I had completed my exploration of Marseille. I was able, fortuitously, to once more break bread with the locals at La Manne, which is very near the Saint-Charles train station. They were warm and gracious people, which somehow took away the sting of my next errand -- to the capital to replace my stolen documents. Cheers! Marseille may not be the most beautiful city in the world. Its citizens may not be the friendliest to strangers. But the city does have many charms for travellers, not least of which are its fine eateries!